Looking for a way for your little ones to practice their letters? 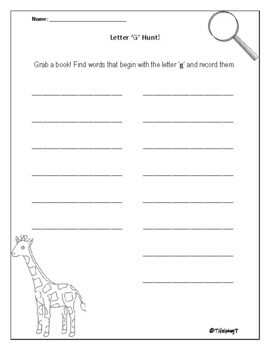 Grab a clipboard and pencil and send your students on their way in a letter hunt! Search through books, magazines, around the classroom, anywhere! 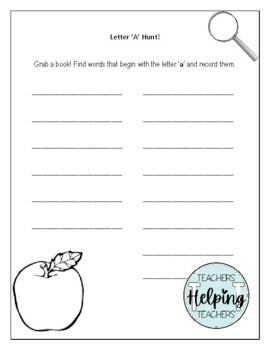 The worksheets include an example of both the lowercase and uppercase letter in the title and directions to give students a reminder of what they are looking for. 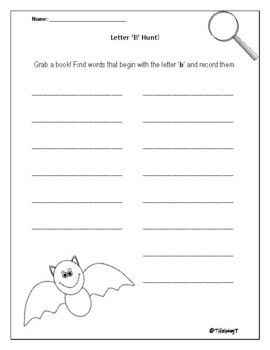 A picture corresponding to each letter is on each worksheet to help remind what the letter sounds like too!